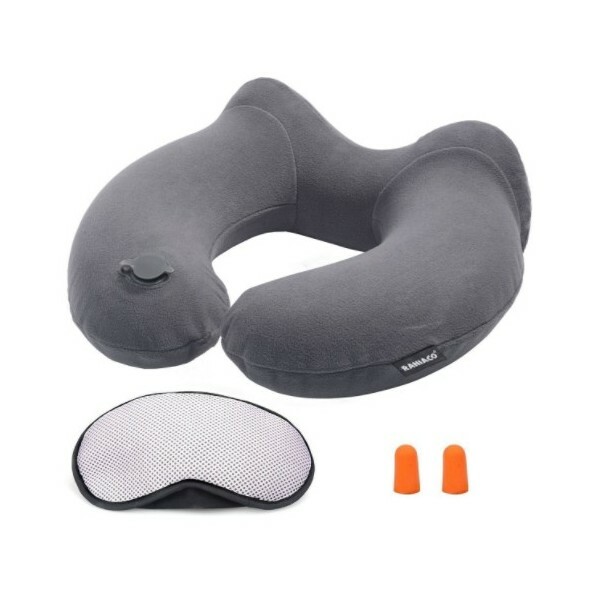 Ergonomic inflatable neck pillow, travel cushion, kit travel comfort including mask for the eyes and ear plugs. 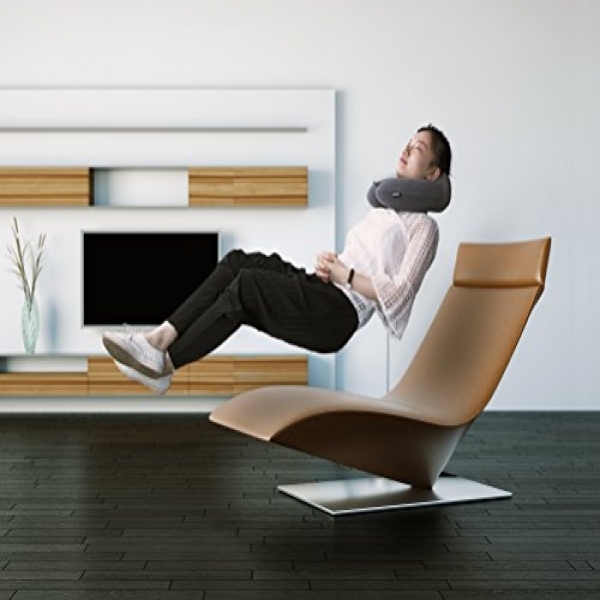 Adjustable and comfortable: extreme comfort guaranteed that by positioning the pillow on your neck or shoulders, allowing the neck pillow to adjust according to your comfort level! 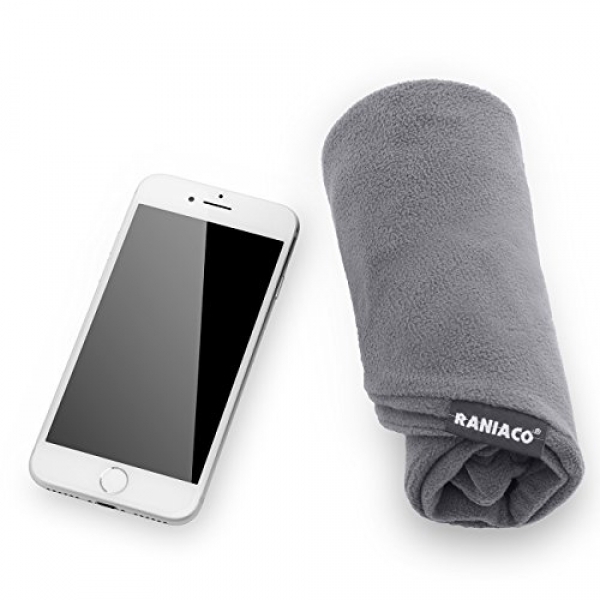 Easy cleaning: can be kept clean and hygienic thanks to removable and washable cover easily whenever needed! 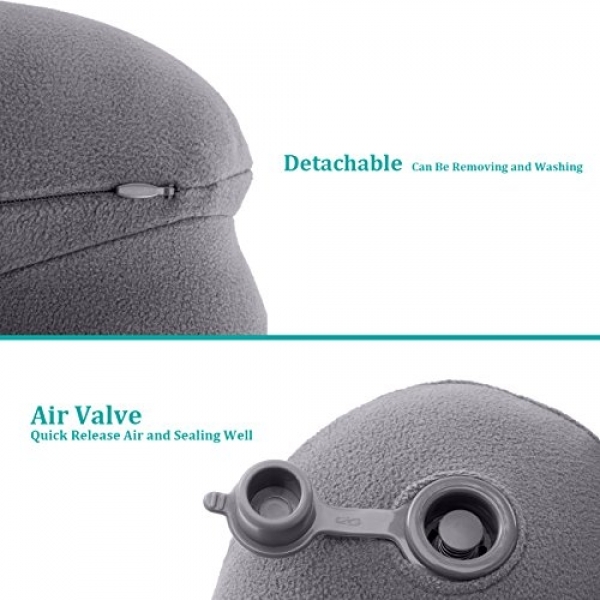 Inflatable and deflation: cervical pillow inflated air quickly and effortlessly, you can use your mouth to do the job easily. 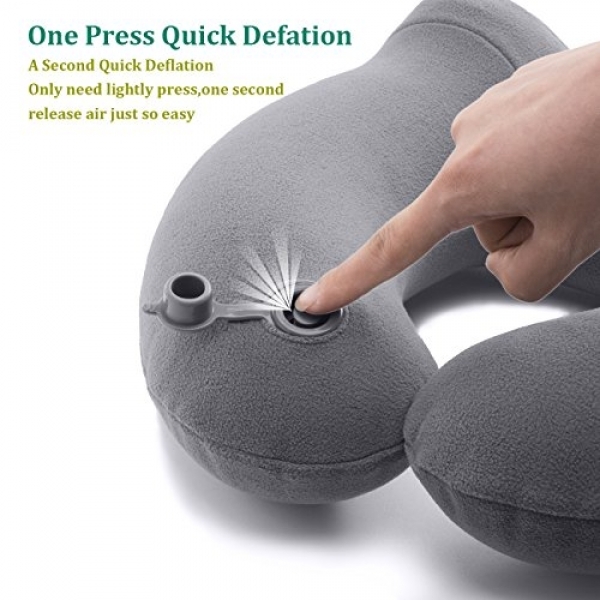 Must be just slightly pressed, a second let the air out! 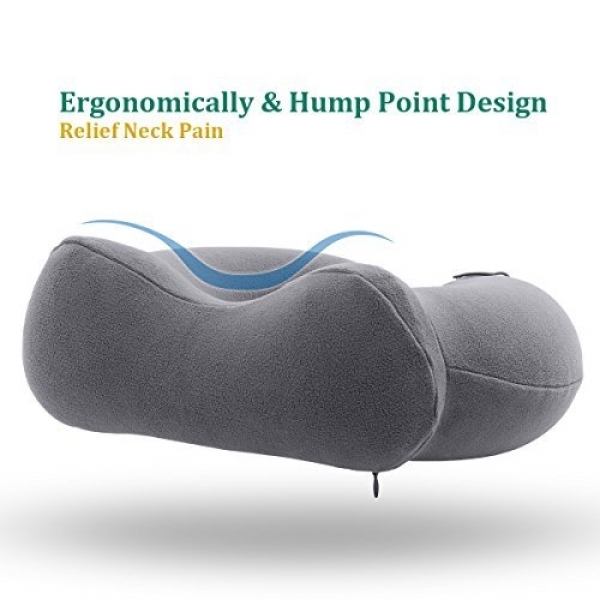 Portable: Easy to carry when you travel, this neck pillow is the perfect travel pillow! 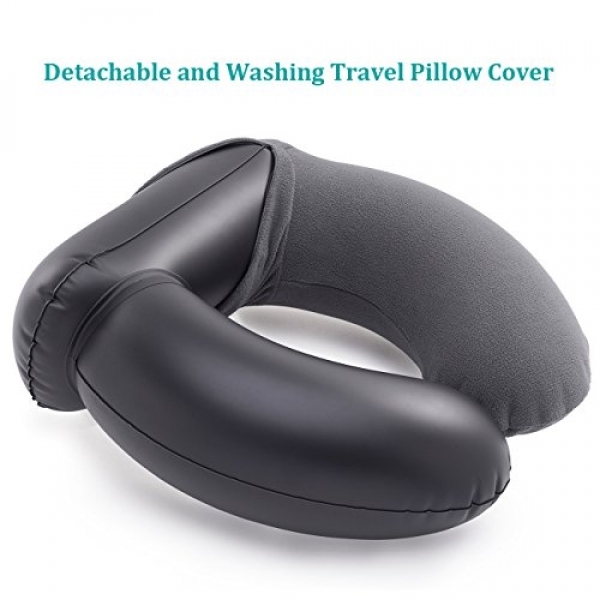 You can fold it and put it anywhere when you are not using it. Original: The design is original and the material used is of high quality in order to provide our customers with ultimate comfort. 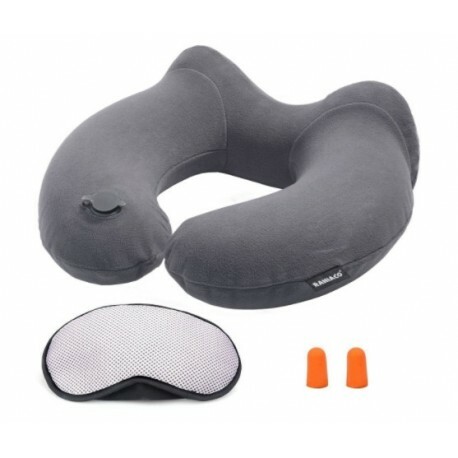 Our earplugs and the eye mask add as factors to offer you even more comfort! -1 mask to cover the eyes.